﻿Critics find this album rather difficult to evaluate. Their judgement ranges from a colourful mixture to a successful cover album to a masterly fusion and an homage to an artist whose life came to an end far too soon - Jimi Hendrix. Jimi had long been gone when this album was recorded in 1974. 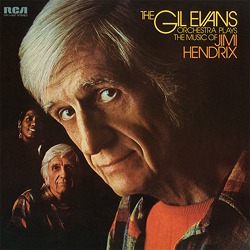 But it is almost superfluous to look back to the legendary Hendrix if you focus on the great Gil Evans. After such milestones as "Birth Of The Cool" and "Sketches Of Spain" it isn't difficult to regard these late audiophile masterpieces as a logical development of Evans's exceptional skill as an arranger.